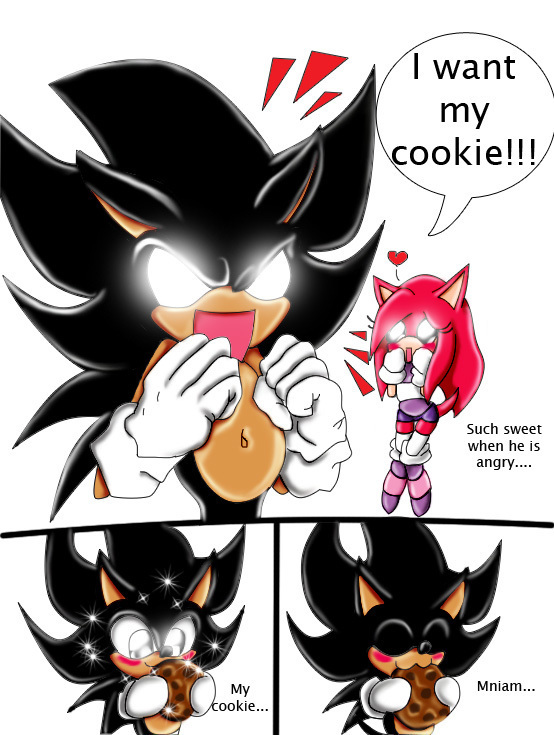 GIVE DARK SONIC HIS COOKIE!. Give him his cookie 或者 else! X3 The girl beside him is AkaiDahlia5's fancharacter.. HD Wallpaper and background images in the 刺猬索尼克 club tagged: cookie sonic. black sonic:AMY... I WANT MY COOOOOOOOKIE. The last 2 panels were aborable! Maria: *dodge and beat up amy* lol that was awesome!